Historian and author Robin D.G. Kelley will speak to California State University, Northridge students, faculty and the community about ethnic studies’ origins, at 2 p.m. on Monday, May 1, in the University Student Union’s Lake View Terrace Room. 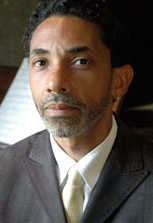 Kelley is the Gary B. Nash Endowed Chair in United States History at the University of California, Los Angeles and one of the country’s top scholars in African-American studies. He has authored several books and contributed to a wide variety of professional journals and publications, including the Journal of American History and The New York Times. His lecture, titled “Over the Rainbow: Second-Wave Ethnic Studies Against the Neoliberal Turn,” will explore ethnic studies’ roots in American universities during the 1980s and early 1990s. He argues the field arose in response to radical social movements that originated during those decades. Kelley also will discuss the era’s conflicting values and how past events and movements can be applied to modern times. The lecture is co-sponsored by CSUN’s Departments of Chicana/o Studies, Africana Studies, Asian American Studies, Central American Studies, History and Political Science. The event is free and open to the public. The Lake View Terrace Room is on the second floor of the East Conference Center in CSUN’s University Student Union, located on the east side of the campus at 18111 Nordhoff St. in Northridge. For more information, contact Renee Moreno at renee.m.moreno@csun.edu or (818) 677-7110.